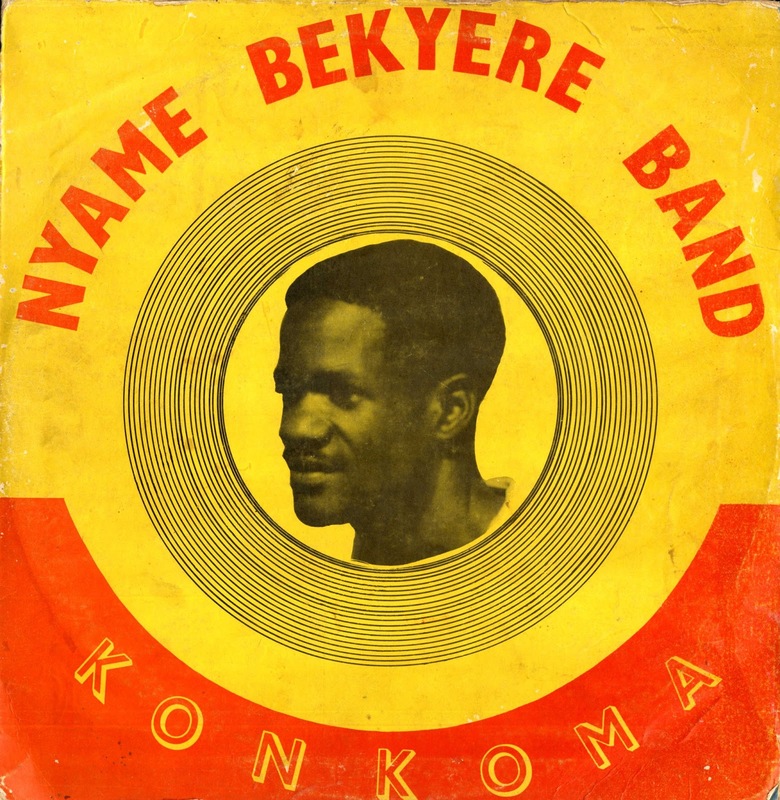 For the next selection on the Highlife Turntable, I have selected a medley by the Nyame Bekyere band led by Seaboy J.N. Ebroni, which is on the first side of the Ride Way release Konkoma. I have posted other tracks by this band off their Seaboy release, so I do not have much more information except to say Nyame Bekyere appears to be a town in Western Ghana. J.N. Ebroni: Tenor Singer and Arranger. Please let me know if you know what a Cre is. It appears to be part of a cello so I am assuming it is a stringed instrument, but it might also be a percussion instrument similar to a steel drum. Wikipedia also says the balafon (bala, balaphone) is a resonated frame, wooden keyed percussion idiophone of West Africa; part of the idiophone family of tuned percussion instruments that includes the xylophone, marimba, glockenspiel, and vibraphone. Sound is produced by striking the tuned keys with two padded sticks.